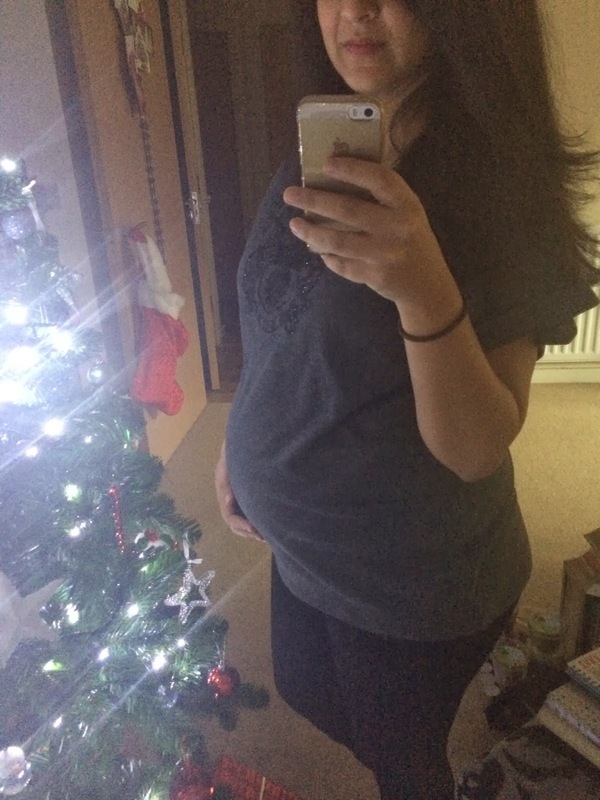 Well this week has been an eventful one, trying to finish the last minute Christmas buying, running around the shops almost everyday, my 24 week appointment at the doctors, a hormonal meltdown all whilst trying to grow this little bean inside of me! 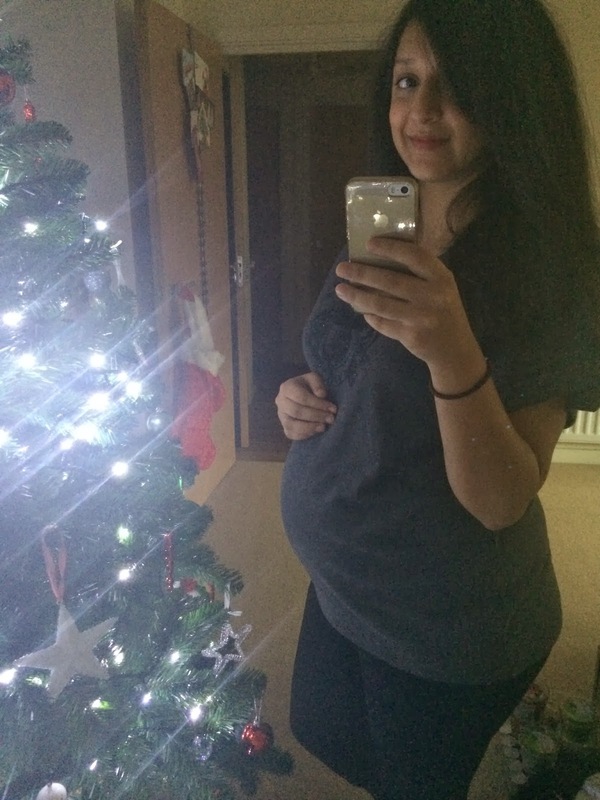 So to start, this is my 24th week pregnancy update, can you believe it? I can’t! In the early stages of pregnancy I always used to complain about how slow it was going, and now I can’t keep up with how quick it’s going! Seriously I’m 25 weeks today which means I only have 12 more weeks until I am FULL TERM! To kick off my 24th week of pregnancy I had a routine doctors appointment, he did all the usual checks, urine test, blood pressure and weighed me. He then had a feel of my stomach, which hurt a little as he was pressing down really hard. He did mention that my baby is head down with its bum by my ribs, which kind of freaked me, I think he saw the look on my face and causally reassured me by explaining that babies at this stage have amble room to move around in. He listened to the babies heartbeat which was normal 140-150 beats per minute and finally measured my bump. This was quite painful as he had to press really hard down to measure my uterus, this measured normal too. This appointment was quite an experience, for the first time it actually felt like the doctors cared more about the baby then me. My other midwife appointments have mainly been about how I’m feeling etc this time around I really felt like I was pregnant. Also this week whilst shopping almost everyday for Christmas, I popped into H&M and purchased some maternity bits. I was starting to really get bored of the clothes that I have. So I picked up the jumper I’m wearing in my bump photo and three other smart casual tops. I think this is the last of my maternity shopping as I only have 3 months to go now and I can put up with what I have until the baby is here. Symptoms wise, I’ve really been suffering from heartburn and acid reflux to the point where it’s really starting to bother me and effect my day to day life. I don’t want to take medicines for it, so I’ve been necking back ice cold milk which seems to do the trick for a couple of hours. I’ve also noticed a reddish stretch mark on my right hip which kind of upset me because in my head I really thought ‘YES! I’ve made it to 6 months and no stretch marks!’ well think again one made an appearance. So I slathered on bio oil in panic mode and cried a little, not before being kicked by my baby lying in bed and realising that it’s all for a good cause. Another symptom is that sleeping is starting to really become difficult, I don’t know what it is but I can’t seem to get comfortable and all I want to do is sleep on my back, which I know isn’t really recommended. I then wake up at 4am, bright eyed and can’t get back to sleep again, until it’s hit about 8am and I go back to bed. It’s really annoying and I’ve been told it only gets worse, so YAY to that! And finally, I’m really looking forward to Christmas tomorrow. It’s kind of bitter sweet as it’ll be the last Christmas before becoming a Mummy! This time next year I’ll have a chubby 8 month old baby who will make Christmas even more exciting than it is already! I can’t wait.